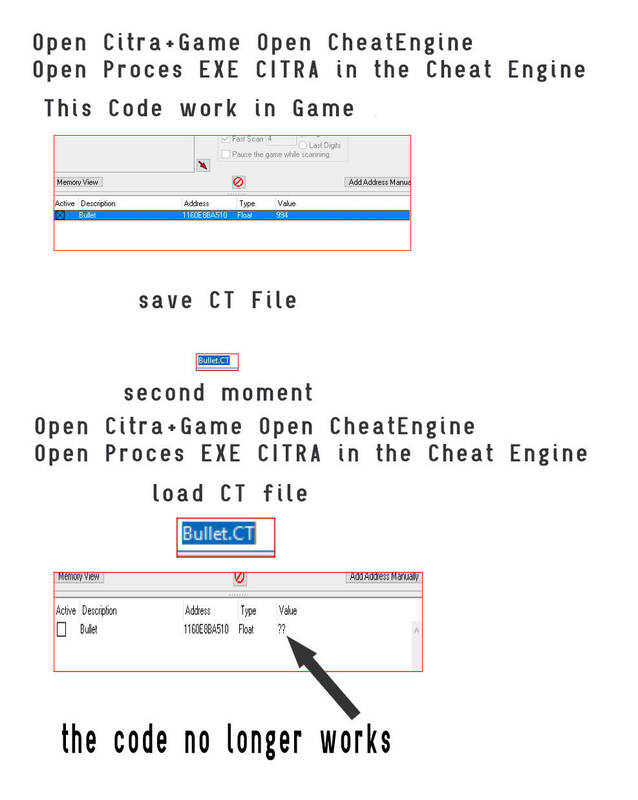 Hi problem I'm using cheat Engine windows 10 64 bit on Citra emulator on a game, I managed to adjust the values to change, number of bullets, type Float codes work properly on the game by changing the values I entered, the problem and when I save the codes and I want to reload them for use them again they do not work anymore, they are shown instead of the values "??" on the pcsx2 emulator if you save the codes and then recharge everything works correctly, I do not understand why on Citra it does not work, someone can enlighten me on the problem. Thanks? first, this is an address not code. third, do cheat engine tutorial.